How was your weekend? We had a stat holiday here yesterday so I spent the weekend doing long weekend things – that is, absolutely no work and lots and lots of eating. Mike and I went to Costco, which is one of my favorite things to do, because samples. I love, love, love mini things and samples are (free!) mini bites. I’m the only sample lover in my house though. Mike’s not down with waiting in lines for tiny bites of food. It was a little (okay, a lot) crazy at Costco this week, so I skipped out on the samples too, which made me kind of sad, but then we went out for some banh-mi which is way better than samples, so I cheered up really quick. I just don’t know what it is about mini things, but don’t you just love them? I think it’s some sort of weird gathering instinct where I get happy when I see an abundance of tiny foods as opposed to a huge item. Kind of how I would be mildly more attracted to a giant plate of wings as opposed to a whole roast chicken. But, really, let’s face it, I’d want both the plate of wings and the chicken. 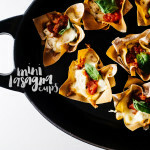 If I had to choose between these cheesy, saucy, crunchy handheld two-bite mini lasagna cups and a giant pan of lasagna, I might freak out a little because I ALWAYS have choice paralysis when I have to choose between things I love. 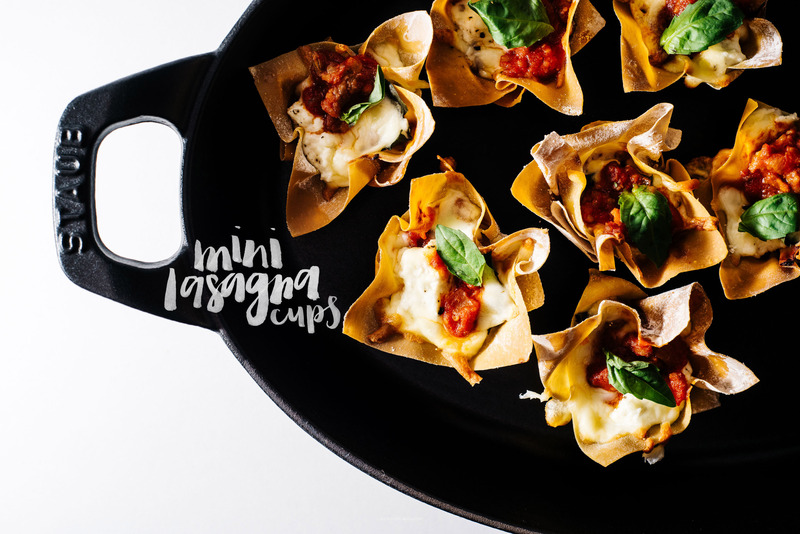 I might lean slightly towards the giant pan of lasagna though, but only because these little cups use wonton skins instead of pasta. 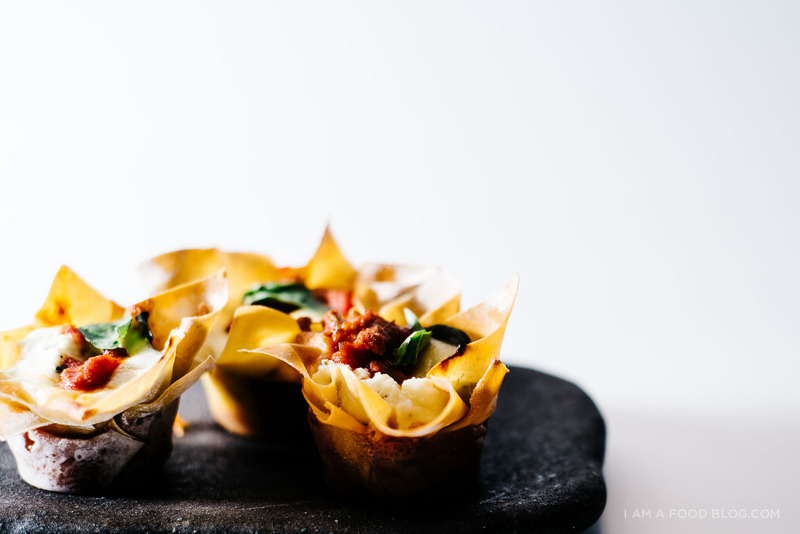 I do have to give bonus points to the mini lasagna cups because using fresh wonton skins instead of pasta make these two-bite wonders come together very quickly. You don’t need to boil any water and you get all those deliciously crispy crunchy cheesy edges that we all know are the best part of eating lasagna. 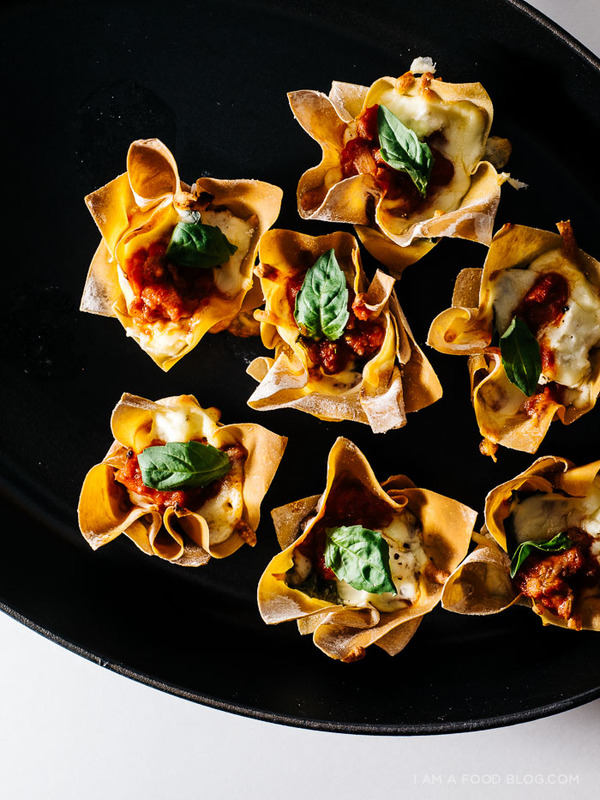 If you’ve got leftover sauce in your fridge or freezer, you’re only 20 minutes away from stuffing your face with ALL the mini lasagnas. Preheat the oven to 375°F. Lightly oil 6-8 wells of a mini muffin tin. Press a wonton wrapper into the bottom of the muffin tin making sure to push the wrapper down and up the sides. Top with a small spoonful of ricotta, a spoonful of sauce, a bit of mozzarella, and a fresh basil leaf. Repeat with another layer. Bake until cheese is melty, golden brown and delicious, about 12 minutes. Let cool slight, remove from the tins, top with fresh basil and enjoy! Note: I could only get two layers into my mini tins, but if you can fit more layers in, go for it! in this post: roasting dish // jars. Taking trips to Costco are actually an event itself down under. WE eat all the samples then go for lunch afterwards :) I glad your back form you trip and I am totally smitten with these tiny cups of fat kid’ food gorgeousness! Ditto that on the mini things….and samples. I’m always half excited at Cosco when they hand out samples and my kids won’t eat them so I get an extra (this is rare though!) Hmmmm, this might must be one bite lasagna cups! Didn’t even realize you could buy wonton wrappers….thanks for sharing. Maybe Olaf can give you a nice warm hug from me for such great inspiration. The samples at Costco are unlimited. They can’t tell you no. Lasagna anything is amazing. Just can’t go wrong. Ever. This is so cute Stephanie – mini everything wins every time – they are just so cute and ahhh I just love mini things! Love these little bite sized lasagnas!! I feel like a celebrity just linked to my blog? These are gorgeous (what else is new; everything you make is)! Thank you for the shout out on inspiration! Now’s the time to tell you I adore you. um, i feel like YOU’RE the celebrity! i find you so, so, so inspiring!!!! thank you thank you thank you!!! I love everything mini too!! I tried making cups out of wonton wrappers in the oven before and the edges came out so crispy, they were totally inedible. Maybe I just cooked them too long? Yes! 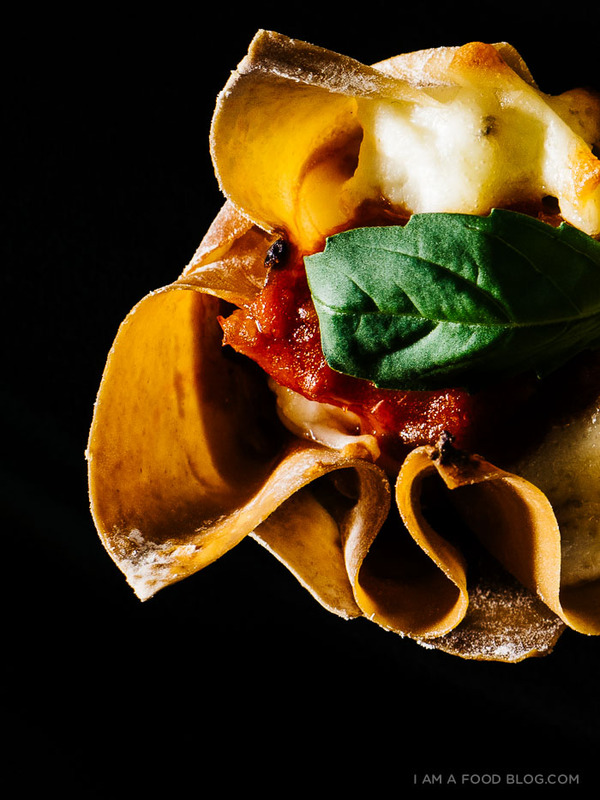 I love food in miniature – and these lasagna cups look so amazing. They would be a great party dish, but I’d be just as happy to have a few of them (or 5!) for dinner. Brilliant! Would it be crazy if I added some cooked pasta (tossed in the sauce already) to the bottom of these little guys? You know, for some carb on carb action? Probably, but I’m gonna do it anyway. Thanks for the inspiration! These would make such a great appetizer! Wonton wrappers get so crispy in the oven, I love it! I share your love the mini food. The absolute best part about wedding planning so far has been the canape tasting. An excuse to have someone cook twenty different types of mini food for me?! Okay then! 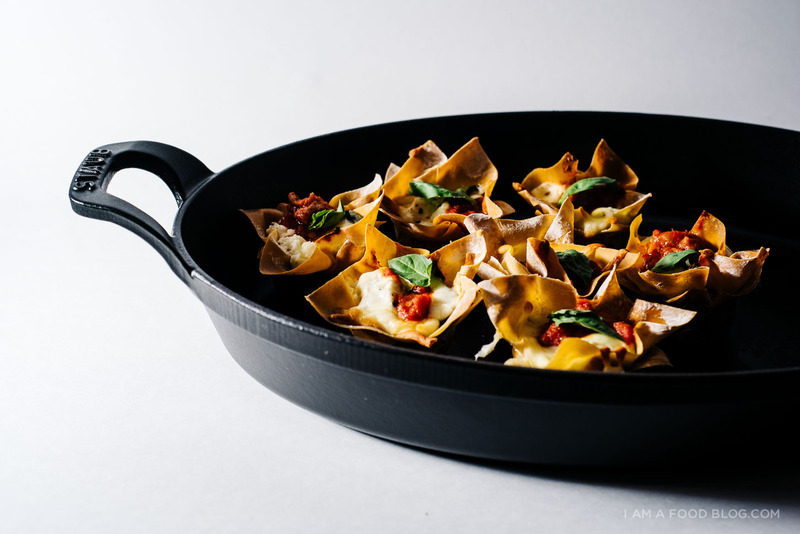 Lasagna is also one of my absolute favourite foods in the whole world so the idea of mini-ing that is just too good. I just found your blog after searching for the best food blogs. After finding yours through Saveur.com, in 2014’s blog of the year, I soon fell in love. The presentation of each blog post is exquisite and the food recipes are truly so different. I love food samples too, whenever I see em I can barely stay away. I heard Costco is a great place to get quality food in large quantities for low prices. How do you like it? OOOOh my goodness! 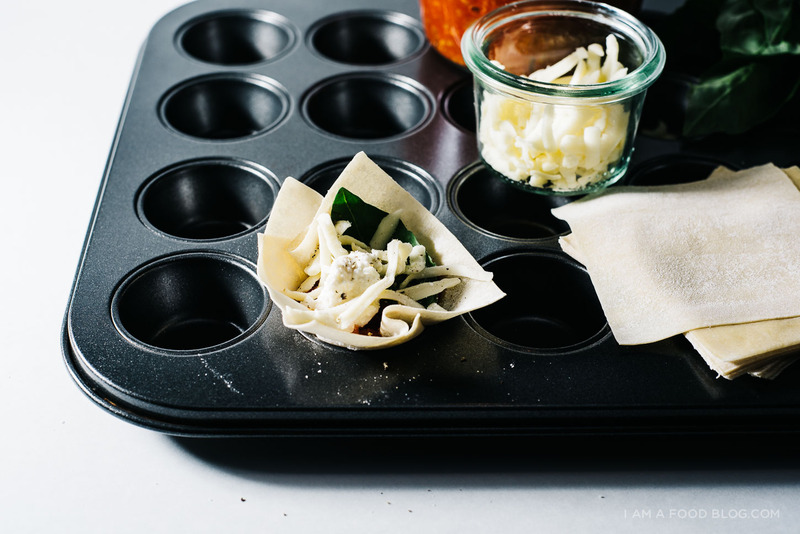 I am totally making Lasagna Cupcakes! How many calories are these heavenly bites? Have you ever made creme brulee? I would love to try, just always wondering how hard it is to create! I just had to throw out there… you are not the only one fascinated with tiny things. Miniature things are always infinitely more interesting than normal size things. Probably why I have a tiny dog! Loooove Banh Mi. I went on a food obsession with them for a month or two. 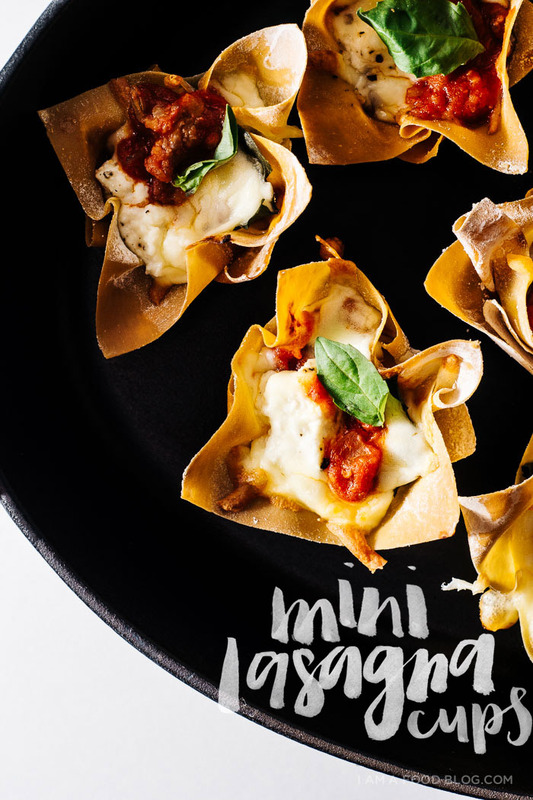 I’ve seen these mini lasagna thingies floating around Pinterest and always meant to try them. Your pics make them look so good! This is the best food blog I have ever seen in a really long time. This lasagna blog is so detailed and graphically states all the right preparations and directions to make a good lasagna. These look so delicious and detailed that i could practically taste the lasagna. 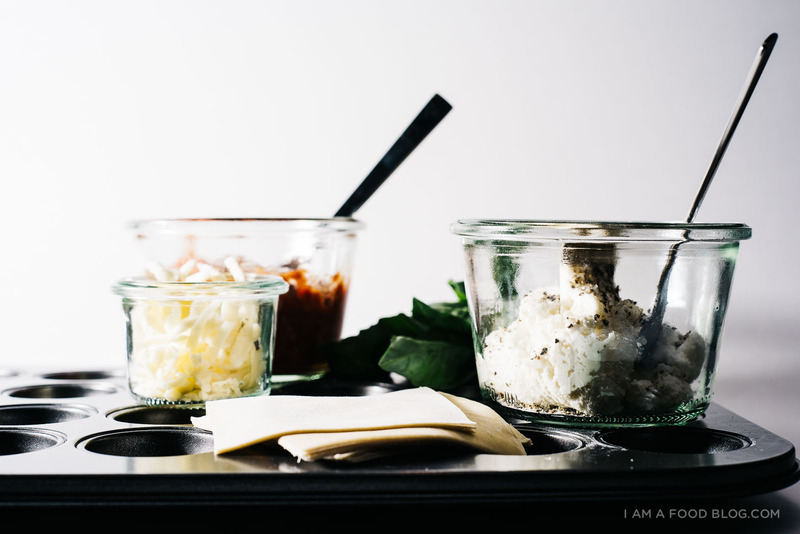 I hope I can learn from this blog and one day make a really good lasagna. My family is famous for our lasagna and maybe one day I can show off my own to the family table. These were a hit with my picky husband. I used a large muffin pan and found that the squared of wonton wrappers fit perfectly, no cutting required. And I mixed the three cheeses together with basil and oregano and then topped with just mozarella. So delicious. Thanks for your sharingg!